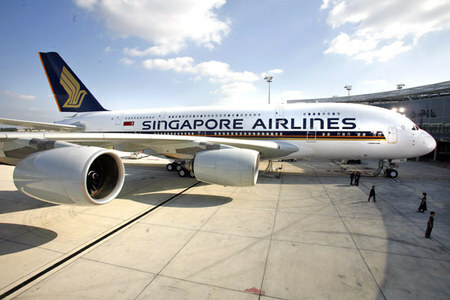 Singapore Airlines has announced a series of drastic cut backs across its long haul and medium haul network for the entire Summer 09 IATA season. This move has been prompted by a poor January for the carrier which saw a network wide load factor of only 63% which seems to have indeed caused some panic within its management. LHR - capacity reduced to double daily A 380s + daily B 773ER from daily B 744 + double daily A 380. MAN - frequencies reduced from 5 to 3 times per week using a B 772ER nonstop. AMD - frequencies reduced from 3 to twice a week using a B 772A. ATQ - all flights suspended. DEL - frequencies reduced from double daily to 11 times a week i.e. daily B 773ER + 4 weekly B 772As. BOM - frequencies reduced from double daily to 11 times a week i.e. daily B 773ER + 4 weekly B 772As. HYD - frequencies reduced from 4 to 3 times per week using a B 772A. CMB - frequencies reduced from daily to 5 times per week using a B 772A. FCO - frequencies reduced from 3 to twice a week using a B 772ER nonstop till June 21. EWR - nonstop frequencies reduced from daily to 5 weekly flights using an A 345. LAX - nonstop frequencies reduced from daily to 5 weekly flights using an A 345. SFO via HKG - capacity reduced from daily B 744 to daily B 773ER. SYD - frequencies reduced from 4 daily to 3 times daily till June 21. YVR - all flights suspended. MLE - frequencies reduced from daily to 5 times per week using a B 772A. BKK - frequencies reduced from 41 to 33 times per week. NRT via BKK - frequencies reduced from 6 to 5 times per week using a B 772ER. PEK - frequencies reduced from triple daily to 17 times per week. BNE - frequencies reduced from 19 times per week to double daily. CAN - frequencies reduced from daily to 5 times a week using a B 772A. HKG - frequencies reduced from 6 times daily to 5 times daily. JKT - frequencies reduced from 8 times daily to 7 times daily. NGO - frequencies reduced from daily to 5 times per week. PER - frequencies reduced from 19 times per week to double daily. ICN - frequencies reduced from 17 times weekly to double daily. IAD - frequencies increased from 4 to 5 flights per week from April onwards and then increased again to daily from June using a B 763ER via Rome. Flights will be reduced from daily to 5 times a week from mid September onwards. DEL/PEK - frequencies increased from 3 to 5 flights per week using a B 763ER which include fifth freedom rights. CAN - frequencies increased from 4 to 6 flights per week using a B 763ER which include fifth freedom rights via BKK. BKK - overall frequencies have increased from daily to 9 flights per week. FRA - frequencies increased from 9 to 11 flights per week from July i.e. daily A 343 + 4 weekly A 332s. LHR - capacity will be increased from May 1st to double daily B 773ERs + daily A 332. BKK - frequencies to be increased to double daily flights from June 30th i.e. daily B 773ER + daily A 332; the B 773ER will be a daily same plane service from LHR on GF 2. CAI - capacity increased to daily B 773ER (same plane service from LHR on GF 8) + 2 weekly A 343s. DXB - capacity increased to daily A 343 + daily A 321; same plane service 3 times a week to ORD via IST. KHI - capacity increased from 4 weekly B 738s to 4 weekly A 321s. ORD - capacity increased from daily A 332 to 3 weekly A 343s + 4 weekly A 332s. JFK - capacity increased to 3 weekly A 343s + 5 weekly A 332s. LHR - capacity increased to 9 weekly B 773ERs + 12 weekly A 321s. THR - frequencies increased to double daily flights all flown with A 321s. DKR/GRU - frequencies increased from 2 to 3 weekly flights using an A 343. ALA - frequencies increased from 10 to 11 weekly flights and capacity too increased to all flights being operated by an A 321 rather than a B 738. AMM - frequencies increased from 11 weekly to double daily; also capacity increased to double daily flights using an A 321. BEY - capacity increased from daily B 738 to daily A 321s. CMN - frequencies increased from 4 weekly to daily flights; capacity also increased to A 321s. DAM - capacity increased to daily A 321 + 3 weekly B 738 + 2 weekly A 319. KRT - frequencies increased to daily flights from 5 weekly; all operating with B 738s. STN - capacity increased to daily A 321 operated flights. MAD - capacity increased to 9 weekly A 321s + weekly B 738. CDG - capacity increased to 4 daily flights all using A 321s. Korean Air has officially announced that it will be increasing flights to YYZ-Toronto from May 26th from 3 to 5 weekly nonstop flights. KE will be using the Boeing 777-200ER on this route rather than the Boeing 747-400. With the open skies agreement now in place between Korea and Canada, one expects KE to announce further increases to Canada this year and in 2010 as well. KE also confirmed that it will be increasing its flights to Seattle, USA from 3 weekly to 5 weekly services from June 1st onwards to take advantage of the peak summer season rush on this route. All ICN-SEA flights will be flown using a Boeing 777-200ER nonstop. DXB - frequencies increased from daily to double daily nonstop flights using an A 321. MXP - capacity increased to 4 weekly terminator flights using an A 320. FCO - capacity increased to 4 weekly terminator flights using an A 320. FRA - frequencies increased to 5 weekly flights using an A 321. CAI - frequencies increased to double daily flights with A 320s operating. AMM - frequencies increased to double daily flights using an A 321 + A 320 each daily respectively. Air China has officially confirmed that it will be suspending all of its 3 weekly flights to Karachi, Pakistan from this June onwards. CA currently uses an A 319 on this route which is flown via Urumqi. No official reason has been given by the airline but one feels strong competition from Thai Airways and Cathay Pacific along with lack of revenue are the main factors to be attributed to the suspension. YYC / FRA - capacity increased from daily B 763ER to daily A 333. YVR / LHR - capacity in July only reduced to daily A 333 from daily B 773ER. YVR / NRT - capacity increased from daily B 763ER to daily A 333 between May 1st and June 30th and then further increased to daily B 773ER between July 1st and Sept 30th. i. From March 29 till May 2nd, double daily nonstop flights will be flown using an A 321-200.
ii. From May 2nd onwards, the in-flight product as well as capacity will be upgraded to a double daily A 332 which will have the popular new business class product. iii. CAI bound flights will get a capacity increase from a daily A 320 to a daily A 332 effective March 29th. DAC - frequencies to be increased to triple daily from the current 17 weekly effective December 1st i.e. daily A 332 + daily B 772A + daily B 773ER. KRT - frequencies increased from daily to 10 times a week effective June i.e. daily A 343 + 3 weekly A 332. Qatar Airways will be increasing capacity to MAA-Chennai, India from September 2nd onwards. Currently, QR flies a daily Airbus A 321-200 on the DOH-MAA sector but that will change when capacity is doubled as QR will be deploying the Boeing 777-300ER on a daily basis here. 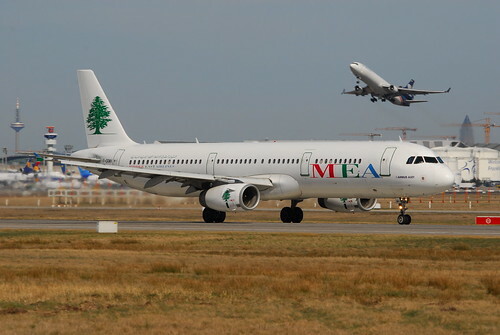 To MAA, QR will be flying a same plane service on a daily basis from Washington Dulles airport via Doha. Jet Airways of India will be reducing capacity on its Delhi-London Heathrow flight from April 23rd onwards. Currently, it flies a daily 3 class Boeing 777-300ER on this route but that will change to 4 weekly B 773ERs + 3 weekly two class configured Airbus A 330-200s. 9W will be flying the A 332 on TUE/WED/THU on this route and has not given any official reason justifying the decrease in capacity. Air Asia of Malaysia has officially announced that it will be launching new daily nonstop flights from its KUL hub to Dhaka, Bangladesh effective March 12th. The airline will be using an A 320 for this service and is largely expected to cater towards the 300,000 Bangladeshi expats living and working in the country. British Airways has announced that it will be reducing capacity on its 3 weekly flights to MRU-Maurituis in Africa from June onwards. Currently, it flies LHR-MRU nonstop using a B 747-400 but that will change to a Boeing 777-200ER from that date onwards. With regards to Delhi, BA will revert back to a capacity decrease of double daily B 777-200ER service which was the same as last summer due to lower demand on this route during the summer IATA season. 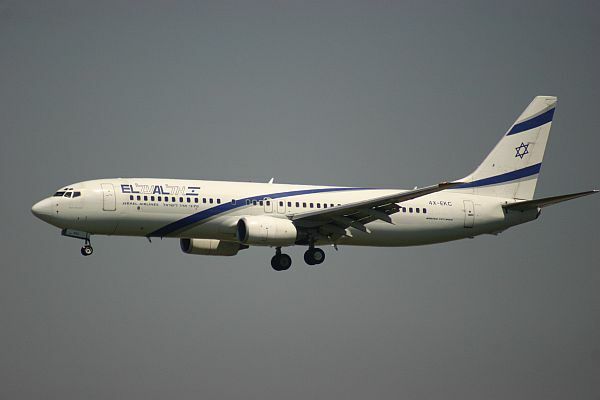 EL AL of Israel has officially announced that it will be launching new 3 weekly nonstop flights to GRU-Sao Paulo, Brazil from May 2nd 2009. LY will be using a B 772ER to operate this route and flights will be operated on MON/WED/SAT only. Kenya Airways has announced that it will be increasing frequencies on its Dubai route from the on set of the Summer 09 IATA season. Currently, it flies 9 times a week NBO-DXB nonstop using a B 763ER six times a week + 3 weekly B 737-800. However, this will be changed to a 12 times a week service using a Boeing 767-300ER on all flights effective April. LHR - capacity reduced to daily A 346 + daily B 744; same plane service is available 4 times a week (THU-FRI-SAT-SUN) from SIN via BKK to LHR. KIX - capacity increased to triple daily B 772As i.e. double daily B 772As nonstop + daily B 772A via MNL with 5th freedom rights. CAN - frequencies increased from daily to 11 weekly i.e. daily A 333s + 4 weekly AB6s. Pakistan International Airlines (PIA) has confirmed that it will be launching new twice weekly flights to STN-London Stansted Airport from Pakistan effective April 1st 2009. Both flights will be flown via Dubai with no 5th freedom rights using an Airbus A 310-300. Operations will be on WED from Lahore and on FRI from Islamabad respectively where as the DXB stopover enroute is primarily for re-fueling purposes. Lufthansa has revealed on the GDS system that it will be increasing capacity on its Munich-Newark (MUC-EWR) route for the Winter 09-10 IATA season. Currently, it serves this route using a mixture of A 333s and A 343s on a daily basis but that will increase to a daily Airbus A 340-600 effective November 2009. China Airlines of Taiwan has officially confirmed that it will be suspending all its flights to AUH-Abu Dhabi, UAE from June 1st. CI currently flies 3 times a week using an Airbus A 330-300 to AUH which is then extended to Vienna, Austria with 5th freedom traffic. No official reason has been cited by CI justifying the suspension of AUH, however it plans to keep its VIE flights online as the route will then be served nonstop from TPE using an A 340-300 three times a week. CI also confirmed that it will be increasing its flights to FRA-Frankfurt from 5 to 6 weekly nonstop flights using a Boeing 747-400 for all flights effective March 30th.